Notes:    Title lost after tie-break match. Win by three or more goals of difference earn three points. Not computed matches against Ponte Preta and Bandeirante. See 1988 file for details. point and the loser earning no points. Introduction of the "three-points-by-win" system. point and the loser earning one point. Sastre, Leônidas da Silva, Remo, Pardal. Leônidas da Silva, Remo, Teixeirinha. Nenê - Paulo, Terto (Benê), Toninho Guerreiro, Paraná. Rocha (Carlos Alberto) - Terto, Toninho Guerreiro, Paraná. Terto - Muricy, Serginho, Zé Carlos (Silva). Renato (Alexandre Bueno) - Paulo César, Serginho (Assis), Zé Sérgio. Almir, Heriberto, Renato - Paulo César (Tatu), Serginho, Mário Sérgio. Silas (Pita), Falcão (Freitas) - Müller, Careca, Sidney. Pita - Müller, Lê (Paulo Martins), Edivaldo (Neto). (Benê), Raí - Mário Tilico, Ney (Bernardo), Edivaldo. Toninho Cerezzo, Raí, Cafu - Müller, Palhinha. Lúcio Flávio (Souza), Adriano - Sandro Hiroshi (Oliveira), Reinaldo (Rafael). Danilo, Júnior - Diego Tardelli (Luizão), Grafite. Notes:  [*]  Tournament interrupted and not finished. [**]  Introduction of the "three-points-by-win" system. (Kaká), Carlos Miguel (Júlio Batista), Gustavo Nery - França, Luís Fabiano. Gomes Pedrosa (1967-1970) tournaments the status of Brazilian Championships. Notes:  [a]  Win by two or more goals of difference earn three points. [b]  Win by three or more goals of difference earn three points. winner earning two points and the loser earning one point. [e]  Introduction of the "three-points-by-win" system. 0-1, as awarded by CBF. See 1999 file for details. Preta. See 2005 file for details. (Peres), Darío Pereyra - Zé Sergio, Mirandinha, Viana (Neca). Pita, Silas (Manu) - Müller, Careca, Sidney (Rômulo). Bernardo, Cafu, Raí - Marcelo, Müller (Flávio). (Thiago), Danilo - Leandro (Alex Silva), Aloísio (Lenílson). Richarlyson, Hernanes, Júnior (Souza), Jorge Wagner - Aloísio (Borges), Dagoberto. Richarlyson, Hernanes, Hugo, Jorge Wagner - Dagoberto (Bruno), Borges (André Lima). Notes:  [#]  Introduction of the "three-points-by-win" system. 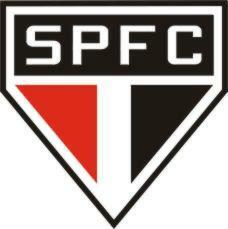 [##]  São Paulo eliminated due to inclusion of ineligible player Lima. were not allowed to play in Copa do Brasil in the same season. Notes:  "nth phase" indicates the phase in which São Paulo was eliminated. [*]  "Three-points-by-win" system introduced in 1995. Palhinha - Müller (Macedo), Elivélton. Pintado, Cafu, Raí - Palhinha, Müller. Júnior (Fábio Santos) - Amoroso (Diego Tardelli), Luizão (Souza). Notes:    Introduction of the "three-points-by-win" system. (Juninho), Leonardo - Palhinha (Guilherme), Müller. Denílson - Catê, Caio, Toninho. Wellington, Jádson - Lucas, Willian José (Douglas), Osvaldo. Juninho - Palhinha (Catê), Valdeir (Jamelli). (Juninho), Leonardo - Euller, Guilherme. Cerezzo (Dinho), Raí - Palhinha, Cafu, Müller. Leonardo - Müller, Palhinha (Juninho). Júnior - Amoroso, Aloísio (Grafite). were also valid for the Campeonato Paulista of same year. Campeonato Brasileiro of same year. Yearwise record of ALL matches of São Paulo F.C. Ruy, Noronha - Luizinho, Sastre, Leônidas da Silva, Gérson, Canhoteiro. Pereyra, Noronha - Bauer, Gérson, Pedro Rocha - Luizinho, Leônidas da Silva, Zé Sérgio. Noronha - Luizinho, Zizinho, Leônidas da Silva, Pedro Rocha, Canhoteiro. Rocha, Gérson - Müller, Leônidas da Silva, Canhoteiro. Noronha - Bauer, Gérson, Zizinho - Müller, Leônidas da Silva, Canhoteiro. Bauer, Pedro Rocha, Raí - Müller, Leônidas da Silva, Canhoteiro. Darío Pereyra, Noronha - Pedro Rocha, Zizinho, Raí - Careca, Leônidas da Silva, Canhoteiro. Pereyra, Serginho - Gérson, Falcão, Pedro Rocha, Raí - Careca, Müller. Toninho Cerezzo, Gérson, Raí, Pedro Rocha - Müller, Careca. Mineiro, Pedro Rocha, Raí - Müller, Careca, Canhoteiro. Pereyra, Leonardo - Gérson, Pedro Rocha, Kaká, Raí - Careca, Müller. some current statistics as belonging to CBD. (9 matches) were contracted by CBD to join the Brazilian National Team. December) are computed as players belonging to CBD. and no players from São Paulo were in that. list of CBD to 1958 World Cup but were not called to the final 22-players squad. 1974 World Cup but was not called to the final 22-players squad. to the 40-players definitive list. not called to the final 23-players squad. 1) 7 matches with unknown Brazilian line-ups. 2) 11 matches with known line-up but unknown clubs of (some or all) Brazilian players. 3) 5 matches with unknown Brazilian goalscorers. Grandes Reportagens special magazine about São Paulo F.C. Lance! newspaper´s special magazines about São Paulo F.C. Placar magazine´s special editions about São Paulo F.C. O Mundo do Futebol special magazine about São Paulo F.C. Thanks to Martín Tabeira (m.tabeira@gmail.com), Alexandre Magno Barreto Berwanger (ambberwanger@yahoo.com.br), Michael Serra (michael@saopaulofc.net) and Willian Nadal (will.1995@hotmail.com).